Spread over four adjacent units and covering 8,000 square feet on London's King's Road Guinevere is not your average independent shop. In fact there is nothing remotely average or ordinary about it which is why it has made the Indie of the Week list. 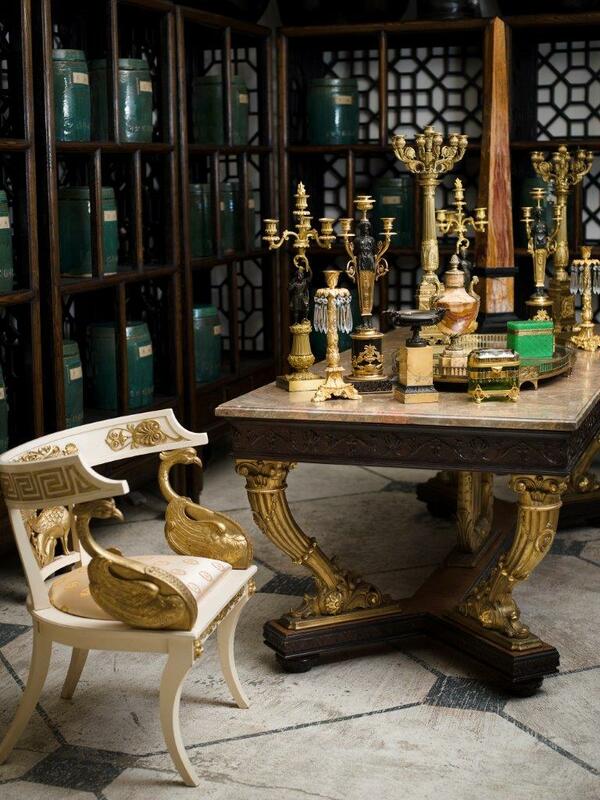 This is a shop where a 19th century Russian neo-classical side chair in carved giltwood sits alongside a 20th century Egyptian brass octagonal side table with arabesque decoration. 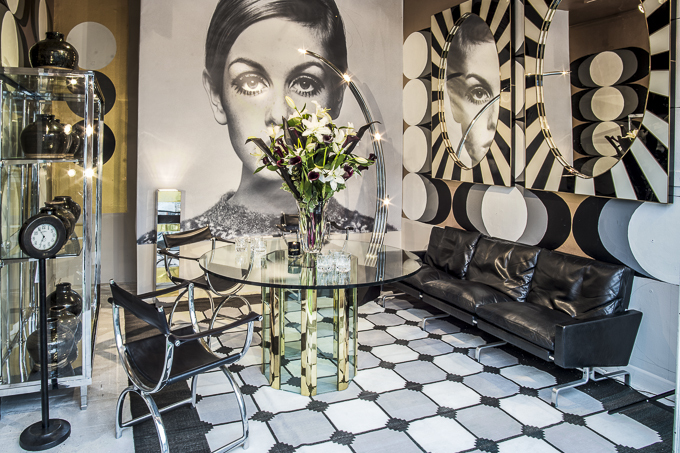 Since its opening in 1963 this family-run enterprise has sourced and sold extraordinary things from around the world and is a favourite with interior designers. "People often describe it as an Aladdin's cave", says co-owner Marc Weaver, "a lot of people don't get past the windows, but once you come in it's a big space and you're meant to feel a bit lost. There are no windows - and no clock!" It's all about the visual impact: people are looking for inspiration whether they are regular clients, designers or "incorrigible buyers". They'll come in, have a coffee, see what's new and often "walk away with something to add to their already quite full houses". Marc, who co-owns with his wife Heather and brother Kevin, grew up with the business. Their French born mother Genevieve founded the shop and as children the boys would come in after school and in the holidays scrub furniture for pocket money. Marc recalls spending hours searching for secret drawers in an old piece of furniture, his mother dismissed the endeavour saying he wouldn't find anything, when he found some silver sovereign boxes, she said: "they're mine". Describe your store in five words: An Aladdin’s Cave (a phrase not a word, but it's what people say when they walk in the first time). Eclectic and Unique. What makes you different? It’s a large gallery with antique and vintage pieces and some modern items. Due to our scale we are able to source these from literally all over the world. It's not any one item, it's the mix. How you decide what makes the cut? I may have to live with it one day if no one buys it. So I must like it. What were you doing before you did this? I was at school. If you were starting again what advice would you give yourself? Look, look and look again and don't buy anything just because it's cheap. What are you most proud of? 50 years in business. Do you have a favourite thing in the store right now? A Chinese Ming dynasty dry lacquer life size court figure. What's hot for 2014? 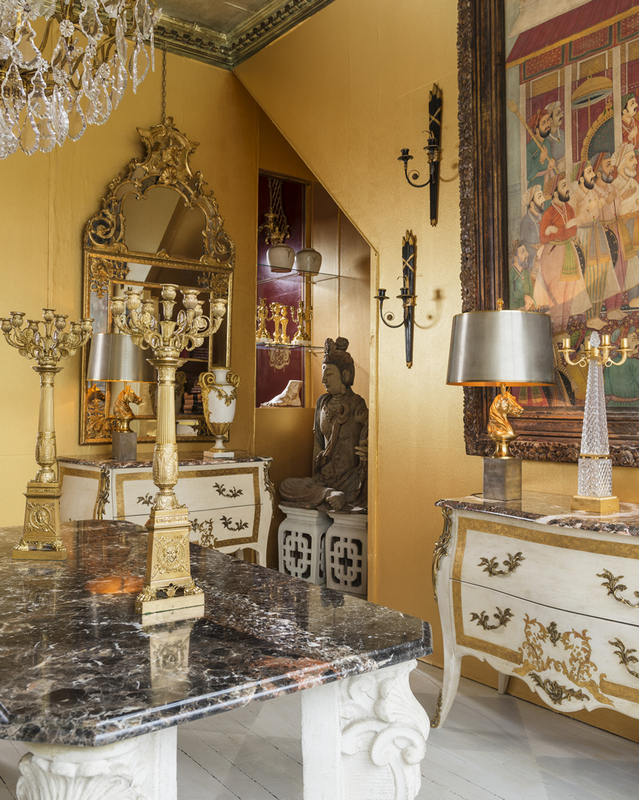 Wild Murano glass furniture.